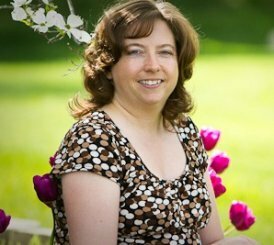 Debbra Bronstad, LMFT has advanced training in the Gottman Method Couples Therapy to help couples with research-based interventions for improving their relationships. In over 40 years of research, John Gottman, PhD, learned to predict with 94% accuracy which couples would divorce by observing their interactions early in their relationship. My goal as a marriage therapist is to help you and your spouse stop the interactions that harm your relationship and increase the behaviors that lead to long and lasting love. How does Gottman Method Couples Therapy Work? Gottman Method Couples Therapy provides a road map for relationship recovery based on the Sound Relationship House. 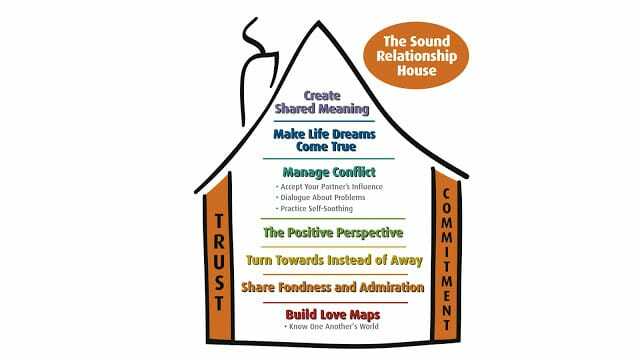 The Sound Relationship House is a framework for including the various factors that Gottman discovered in his research with couples contribute to a lasting friendship. A more thorough explanation can be found here. In this first phase of therapy I will meet with you to learn what brings you in to therapy, your relationship history and what your goals are as a couple. This will also give me an opportunity to observe your strengths in the area of friendship and relationship closeness, as well as to identify problem patterns in conflict communication. In the second session I will meet with you each individually to learn more about your personal history and what you each perceive to be the source of the relationship difficulties. You will also complete the Gottman Relationship Checkup online survey that streamlines the assessment process and provides your therapist with personalized, clinical feedback plus specific recommendations for treatment based on your answers. In our third or fourth session together I will provide you with feedback on the data I have gathered from the interviews and the survey and suggest a plan of action for how we can work together to accomplish your goals. Most sessions will be 90 minutes where I will see you together as a couple. However, there may be times when individual sessions are recommended. You may also receive some exercises to practice at home between sessions. Many clients ask, "How long will it take?" I am committed to helping you achieve your relationship goals as soon as possible. The length of treatment will depend on your specific needs and goals. In later phases of therapy we can meet less frequently as you and your spouse are able to put into practice the various tools for healthy conflict management and communication. At this point you will know what behaviors make your relationship run more smoothly and increase the sense of love and respect you feel for one another. Most of the work will involve sessions in which you will be seen together as a couple. However, there may be times when individual sessions are recommended. We may also give you exercises to practice between sessions. Although you are free to terminate whenever you wish, it is recommended to phase out therapy to be sure you are maintaining the changes you have made in your relationship. In this final phase of treatment, we will agree together on a follow-up plan. Research in couples counseling has shown that follow up sessions significantly decrease the chance of relapse into prior relationship destructive patterns. Follow-up at 3 to 6 or 9 month intervals will allow a chance to fine-tune any of your acquired relationship skills, if needed, and to evaluate the effectiveness of the therapy you have experienced. How can we start Gottman Method Couples Therapy in Rochester Hills? Give me a call today for a free 15-minute consultation. I am happy to talk to you and your partner to answer any questions and to schedule an appointment for our first meeting. We need help fast! Weekly sessions will take too long. What else do you offer? If your marriage has suffered a crisis such as the revelation of an affair or a major trauma or loss, weekly sessions may seem not enough to help you get through the turmoil. I offer extended sessions, more frequent sessions and marriage intensives lasting several hours at a time and even over several days to process as much of the difficulties as possible in a shorter time frame. Couples find this format helpful when they are eager to learn and put into practice as much as they can sooner, rather than later, to bring relief to the repetitive cycle of pain they are experiencing. Marriage intensives can also be helpful for couples who live outside of the Detroit Metro area and are willing to travel to Rochester Hills for intensive intervention. Appointments can be arranged in advance for extended sessions over 2-3 days.